What questions do you most commonly get in your workplace or community about refugees and resettlement? Do you feel well poised to answer these questions and advocate for newcomers? In today’s political climate, it is critical that we understand the refugee resettlement process, especially if working with this vulnerable population. This module aims to humanize the refugee experience and will cover some of the basics: what is a refugee and the push/pull factors of migration. Instructors discuss the pre-arrival process, including security measures, and post-arrival services. There is a special emphasis on child-specific issues. Bullying and discrimination is on the rise and affects refugee youth and families in unique ways. This module will share statistics and stories on bullying and discrimination among diverse refugee youth. These stories will be contextualized within a wider discussion on psychological and sociological concerns that this population may experience. Best practices and recommendations for individuals, families, schools, and the wider community in meeting these challenges will also be provided. Created for individuals working within ORR/DCS residences, this module covers professional ethics, boundaries, and conduct; what constitutes child maltreatment; how to respond to and report suspected child maltreatment; and ways to prevent abuse and neglect in residences and protect yourself against allegations. 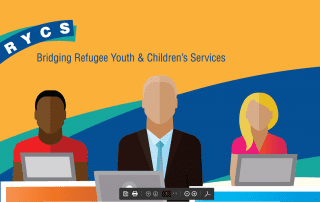 Created for schools and refugee services staff, this module reviews the Parent-Teacher Association's (PTA) six National Standards for Family-School Partnerships and provides recommendations on implementing each of the standards with refugee and immigrant students and their families. Promising practices for each of the standards are discussed, and additional resources provided.